Cane Corso - TCane Corso Criador da raça Cane Corso. Our Kennel. Testimonials. The TCane kennel is unique. The facilities are beautiful and comfortable for the dogs, the highly qualified staff always cares for the welfare of the animals, the quality of the specimens and the bloodlines they handle are extraordinary, and their owner Jose and his wife Marilza are great people, very kind and dear, they became in my friends. 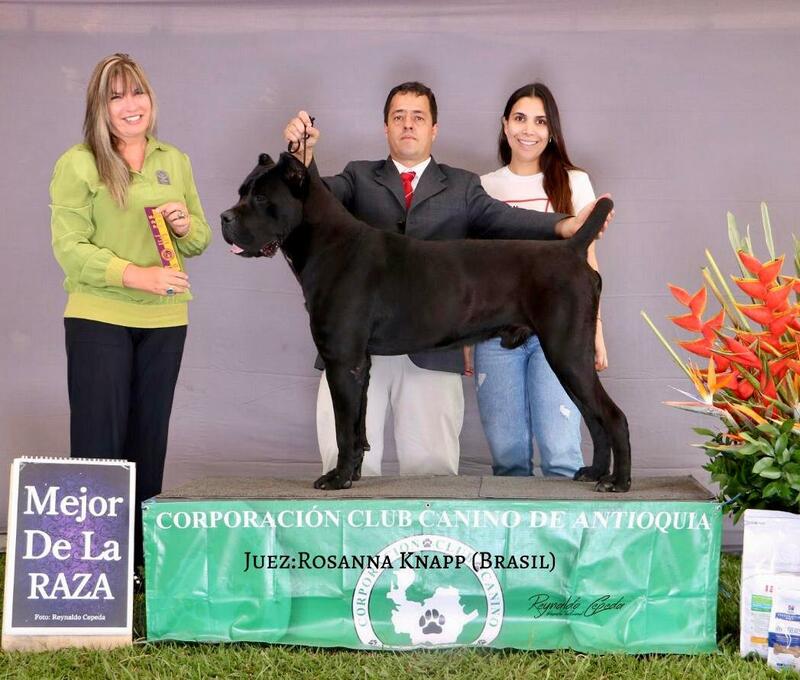 I bought Jose a couple of puppies with the idea of creating the first kennel of Cane Corso in Colombia. Until last year we started to take our dogs to national shows. 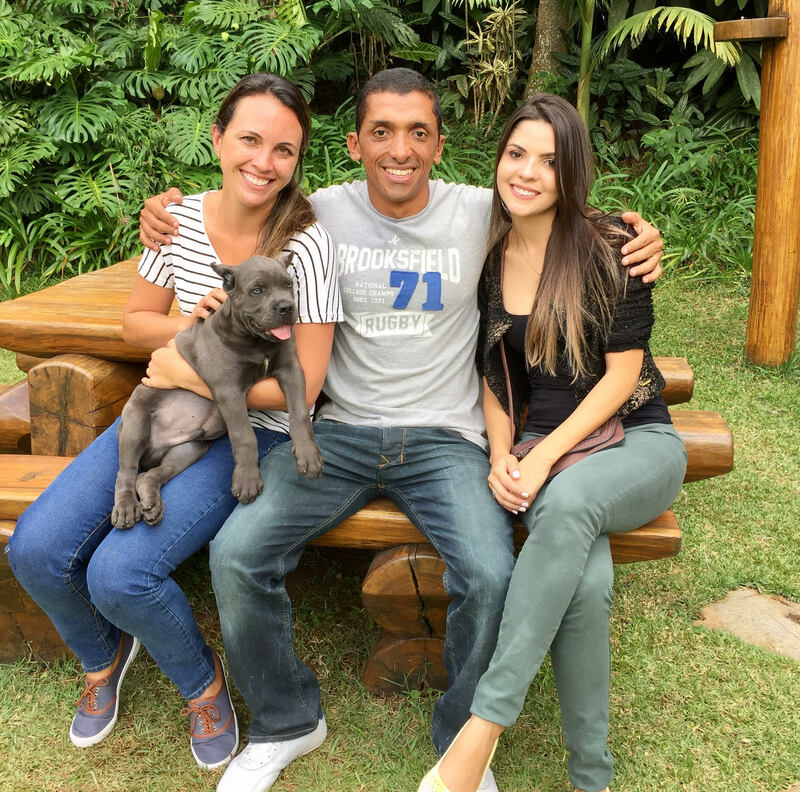 Our male Magnus Tcane (Mario Cane Cielo Maria) was selected as the best adult of the breed in Colombia in 2018. I am very grateful to Joseph, he is always willing to answer my questions and help me with anything I need. I would definitely recommend TCane Kennel. How good it would be to negotiate with honest and true people !!! Thank you with all my heart for meeting people like José Talarico, his wife Marilza, Cesinha and all the TCaneCorso Team !!! Create! But respect the standards !!! Create, but understand the great responsibility it entails in having these animals. It’s just what we expect! Congratulations to TCane and thanks again for the warm and friendly reception! You live in my heart !!!!! It is an immense privilege to have a TCane puppy as a new member of our family! Aside from all the irrefutable qualities of the kennel, we have long been Talarico’s friends, making our Cane even more special ! 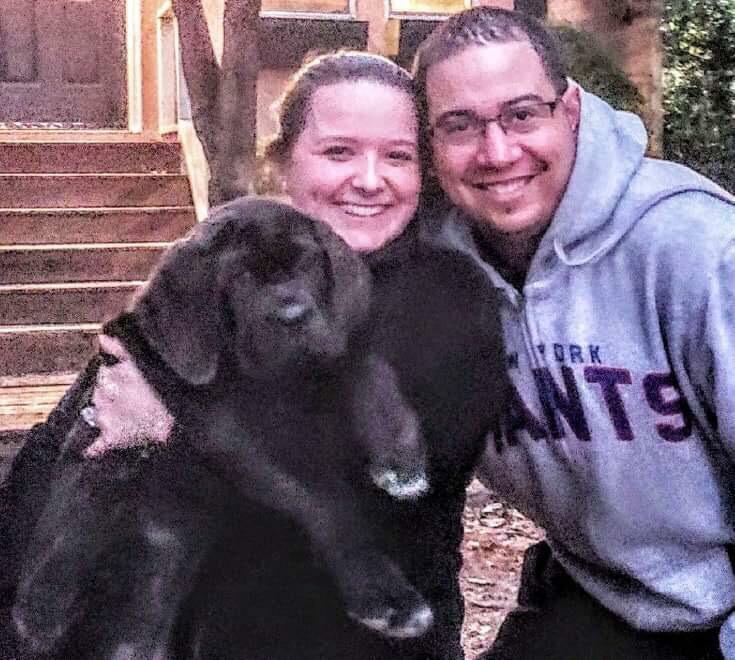 Once again, congratulations to the TCane family for their work and thank you for the beautiful puppy! More than testimony, I would like to thank Jose Talarico and his splendid Tcane Kennel! 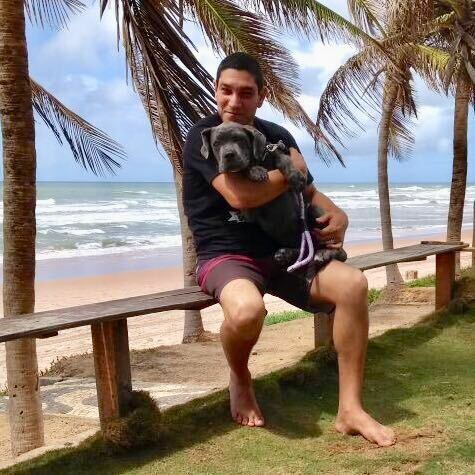 I and my wife Fatima have the pleasure of living with this breed for more than 15 years along which we could visit several Cane Corso breeders around the world. We can say without a doubt that nothing compares to the professionalism and affection with which Tcane dogs are treated, thus raising the breed standards to another level! Thanks for the new member of our family! Certainly the name “Josè Talarico” is already written in the history of CANE CORSO!! José, first of all we want to thank you for being this honest person, always available to give us all the information and always clarify our new doubts. Thank you for making dreams come true! 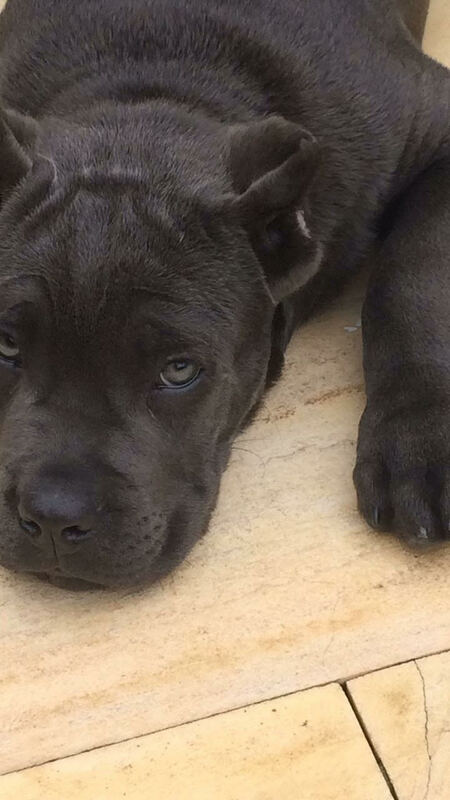 We found the kennel through long search for a serious breeder who really cared about the Cane Corso breed. 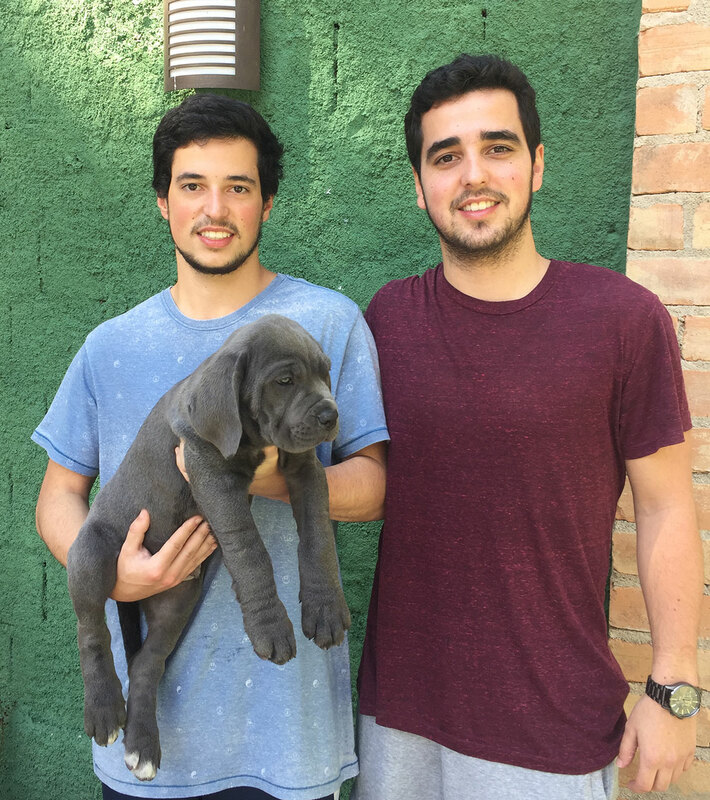 We did all the negotiation over the phone and we trusted that you would choose the perfect Cane Corso for our family, and so it was, you fulfilled with your word. When we went to get our long-awaited Airon at the airport, words were missing. He is beautiful, strong, healthy with the structure of a true Cane Corso. We can only thank you for all your patience to send us pictures every month so that we could follow the growth of our puppy. Now we make part with great pride of the Tcane family. 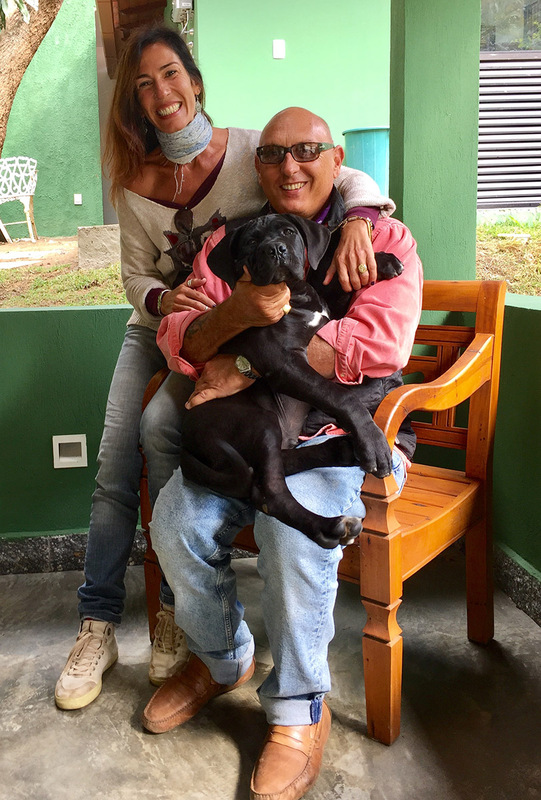 When we decided to have a Cane Corso, we could not imagine that we would know a breeder as committed to achieving a level of excellence and lineage of the breed as Jose Talarico. Since our first contact, Talarico has always been super attentive and very patient. We had many doubts about the breed, and he helped us get all the answers. The day we got our puppy, he kept surprising us. As he himself says: “the first encounter with a Cane Corso we never forget”. Nor will we forget the affection with which Talarico, his wife and all of the TCane team welcomed us to their property, where we verified that TCane’s differential is not only in knowledge, respect and care, but also in the enormous and contagious passion that the Talarico has for his dogs. I and my family are fully satisfied and happy with our TCane. Thank you my friend. Cheers! 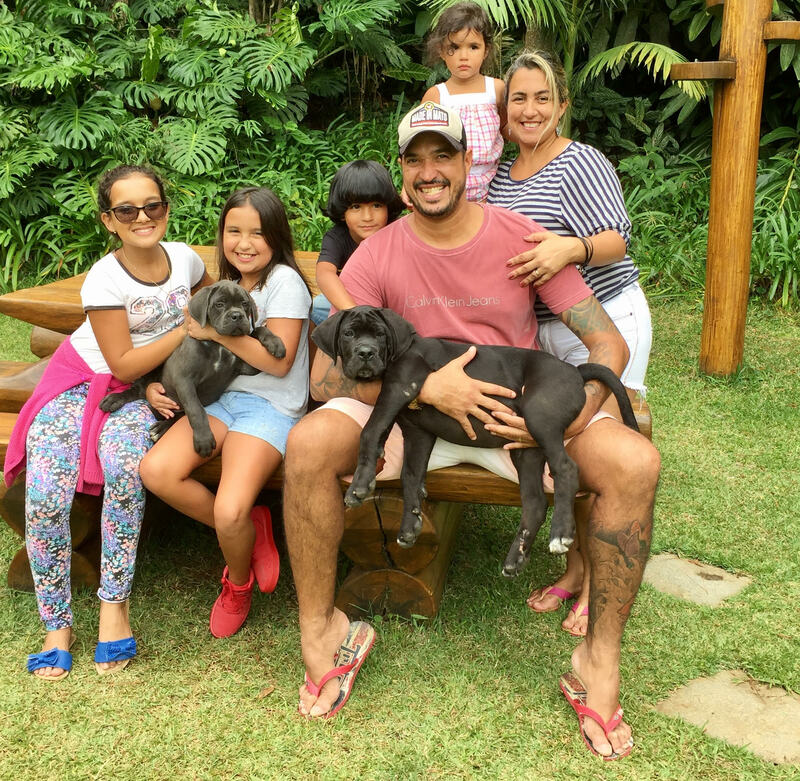 We were looking for a guard dog for our farm, after months of research and studies, we came across the breed Cane Corso Italiano, and precisely the TCane Kennel’s website. We arranged a visit, we were marvelously welcome by Jose Talarico and his wife. And after the contact with their dogs, it was inevitable not to be enchanted by this lovely breed. We made our reservations, and we went to pick them up yesterday. We have a large family with 5 children and despite of having passed just a few days, our 3 month old Achilles and our 2 year old Kyra have already won the love of my children. They are extremely gentle and playful dogs, they already even demonstrate natural instincts for guard and obedience. We are sure to find the right dog for what we needed. The structure of the kennel impressed us and its service captivated us. José Talarico’s professionalism and dedication to the excellence of the lineage of his dogs is perceived, which brings us tranquility, since genetic factors need to be taken into account in the acquisition of a large dog, especially in relation to the control of diseases and predisposition to aggression. 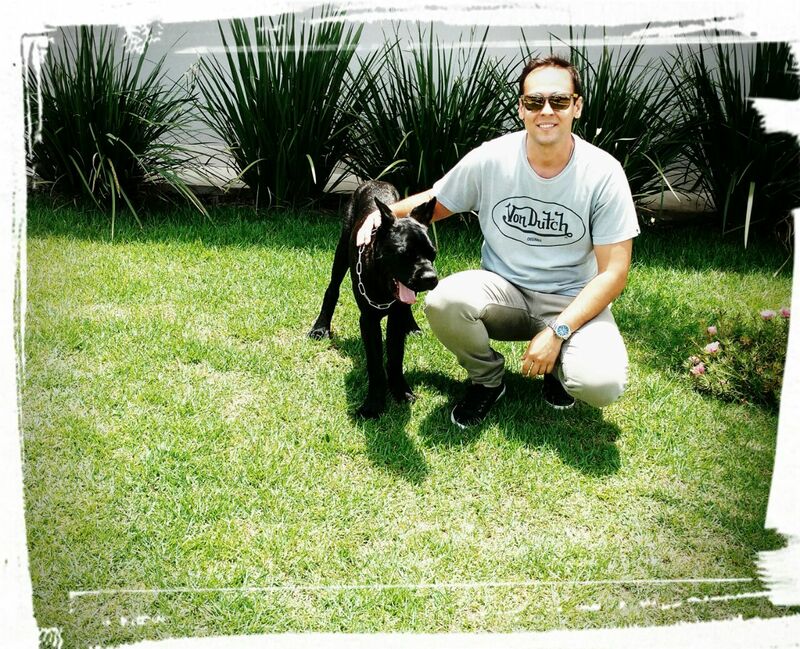 The Caldeira family thanks the attention of all of the Tcane Kennel and thank you for providing us to live together with with this passionate breed that is the Cane Corso. It couldn’t have been any different! 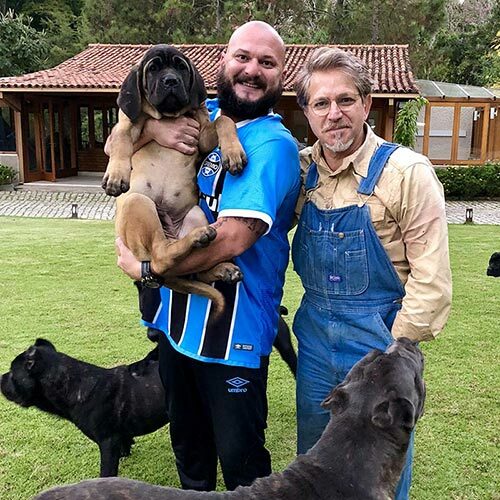 The love to the breed Cane Corso, led me to the breeder Jose Talarico, owner of the TCane kennel, who for his dedication to the animals became an example and honored us with a really special puppy. It is a joy to be part of this story now.